Don’t make the mistake of thinking that just because this is your first offense for Driving Under the Influence (DUI) also known by the updated acronym OVI – Operating a Vehicle Impaired – that the judge will go easy on you. Even a first offense could mean jail time, substantial costs, a mandatory driver’s license suspension, and reinstatement fees. Piling up DUI offenses within a six year period can become very costly, not only in terms of defending against the charges, but in lost work, worry, and reputation. Here is another valuable chart that will help you understand the wide range of potential implications for a first offense DUI/OVI, and the mounting costs of further convictions. In addition, any DUI/OVI convictions will result in a six-point penalty on your driver’s license. This will create a lasting and expensive effect from the DUI/OVI conviction when you see your insurance rates dramatically rise. In fact, once your insurance company sees the DUI conviction, they may choose to no longer insure you. If you can find an insurance company to insure you, costs to someone convicted of drunk driving may be double or triple of an average driver without a DUI conviction. You do not have to accept a DUI/OVI conviction. It is your right to fight the charges you are facing. There should be no doubt about whether or not you hire an attorney. 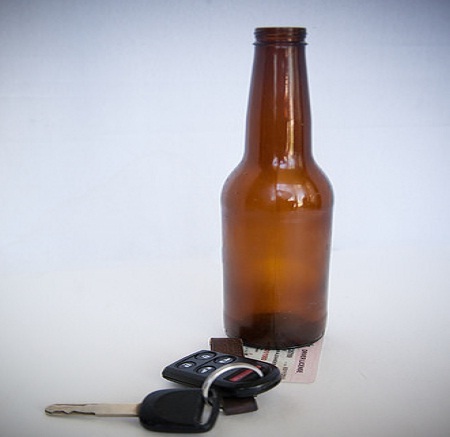 Even a first offense DUI/OVI has very costly, long lasting implications for your future. Going to court without a qualified, experienced attorney is a big risk when you consider the potential impact on your future. An experienced attorney will be able to analyze your situation and look for opportunities to defend you and your record against these serious charges. A qualified drunk driving lawyer will be able to look at the details of the arrest and any testing to determine if your rights were violated, or if the testing was improperly conducted. Do you need a DUI Attorney in Columbus, Ohio? If you’ve been charged with an alcohol-related offense, even a first offense, don’t allow the deck to continue to be stacked against you. You need the representation of a skilled attorney who can help you navigate the treacherous legal landscape. The Maher Law Firm can help make sure that your rights are protected. Founding attorney, Colin Maher is a National Highway Traffic Safety Administration (NHTSA) certified practitioner for field sobriety testing, which is the same training police officers take. This training helps him evaluate and challenge the evidence collection involved in the field sobriety test process. Call The Maher Law Firm today for a free consultation at 614-205-2208 or contact us online.